Do the natural sciences support a supreme Consciousness at work in the universe? Is there a dynamic principle moving all things toward spiritual wholeness? A response to these "big questions," this book will resonate with readers who put primacy in the material basis of science as well as religious readers for whom the essence of reality is Spirit. Rather than attempting to change minds, it offers a new idea of "catholicity" that makes sense to both. By focusing on the relationship between quantum biology and spirituality, Olson finds a dynamic wholeness that unifies them, at least metaphorically, as our lives continue to unfold with surprise in this technological and spiritual age. Edwin E. Olson is a collegiate professor in the graduate school of the University of Maryland, University College, and instructor at the Chautauqua Institution. New insights into the evolution of spiritual wholeness in creation through the lens of quantum biology. 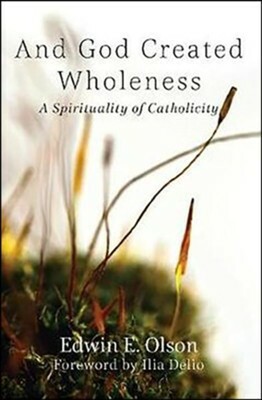 I'm the author/artist and I want to review And God Created Wholeness: A Spirituality of Catholicity.